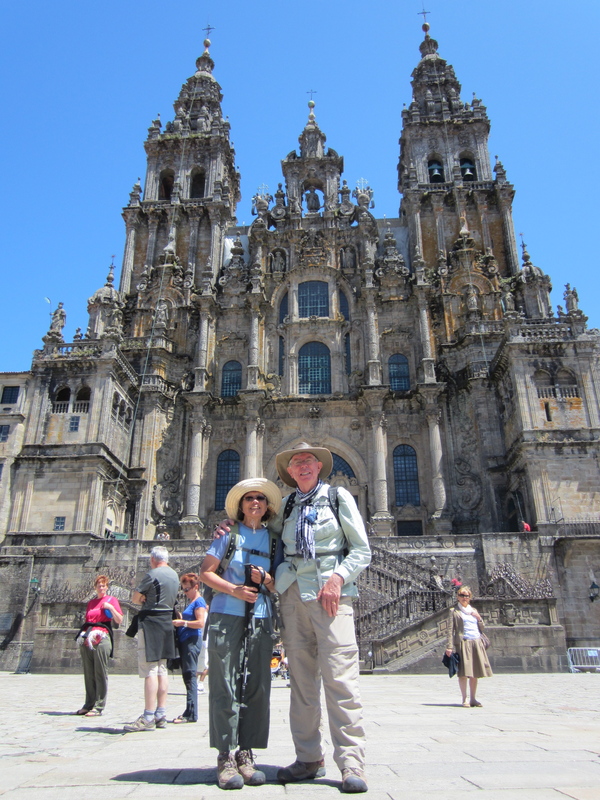 After two weeks on the road (12 days walking and two days of rest in the halfway point of Tuy) we have arrived footsore and tired but very satisfied in the pilgrim city of Santiago de Compostela. We covered around 230 kms from our beginning point in Porto, northern Portugal. Over the next few days I will try to “back fill” my thoughts and our experiences over the six-day sector of the Camino from Tuy to Santiago. Stay tuned. Meanwhile, greetings from the capital of Galicia in north west Spain.